As human beings, we either like having a level of certainty about how much we’re going to pay for something, or we don’t like to think about it at all. We buy an all-day pass at Disney World, or we sign up for bills to automatically be charged to our credit cards each month. Constantly having to think about the cost of an activity eventually takes away from the experience of any given activity. In that context, one of the most complicated elements of cloud computing is pricing. We’ve covered it on The Cloudcast many times (here, here, here, here). How much does anybody actually pay for a cloud service? There are fees to use a given service (e.g. computing), as well as fees to access the service (e.g. bandwidth), and then some fees are only charged based on certain usage patterns (e.g. outbound traffic vs. inbound traffic; intra-region vs. inter-region traffic). And then there are all the options about how to pay for the cloud service: on-demand, reserved instances, spot market, sustained usage discount, pre-emptive services, etc. Per-Second Billing. Who needs it? Recently, AWS made some noise by announcing that their EC2 (compute) and EBS (local storage) services would have the option for per-minute billing. Google Cloud quickly followed along by announcing similar pricing options, as well as reminding the market that some of their existing Big Data services were already billed at this granular level. The initial reaction from the mainstream part of the market was similar to the infamous 8-minute abs vs. 7-minute abs debate. They asked who really needed per-second-billing when there was already per-hour billing? Per-hour already feels very granular, especially in a market where the majority of companies buy computing in 3-5yr intervals. But then we look at the rise of Serverless computing, with it’s per-second billing for millions of transactions. The framework for these types of applications is already in place, albeit that it’s only used by a small fraction of the market. And then think about all the short-run batch jobs that take place in the evenings or off-hours. Somebody has probably been looking at their cost spreadsheet from AWS and noticing that many of those runs lasted less than an hour, and yet they were still being billed for the full hour of EC2 or EBS usage. There is an opportunity to save money for those customers that have gotten sophisticated about their usage patterns. Maybe the end game is just very granular billing models, where the cloud providers can incentivize additional incentivize usage by bundle a certain amount for free each month. They already do this for a number of services. Maybe the serverless model has unlocked a new psychological threshold around cost modeling that AWS believes is the next frontier, similar to how we no longer think about the annual cost of Amazon Prime, we just enjoy getting FREE shipping with each other. But maybe there is something else on the horizon. Maybe there are more bundled offerings on the horizon. Maybe there will be an “unlimited” plan for enterprise IT, similar to how many Enterprises currently buy ELAs (Enterprise License Agreements) today. The early approaches to all-you-can-eat cloud have had mixed reviews (and some failures), but failures have never stopped AWS in the past (remember the Fire Phone, before the Echo/Alexa?). 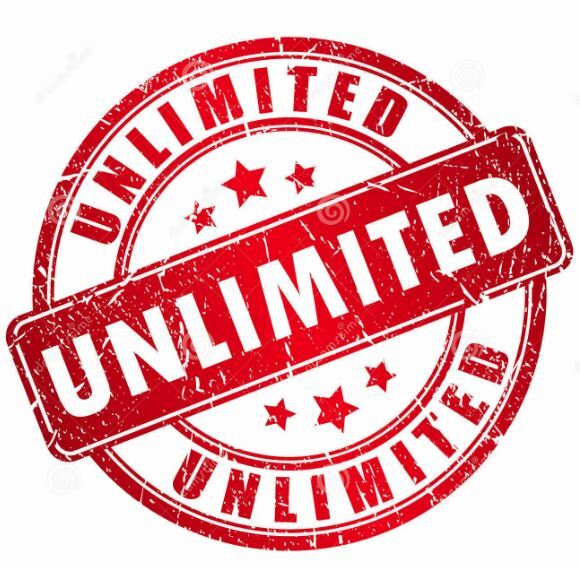 Most CFO’s would love some level of certainty around IT spending, so maybe the next frontier is to just buy blocks of “any cloud service”, with some concept of “unlimited” usage. In the bigger picture of things, the public cloud has already attacked “maintenance is hard”. Maybe the next item on their attack list is “cost modeling is hard”. Rather complex subject! I am pretty sure that businesses requiring "stable service"(like batch) could compute their needs and find the less costly plan but when it comes to a "transaction" type model, then things get a lot more complex and customers might prefer defaulting to an "unlimited" plan because it is too complex to understand what they exactly need.